I love chicken but hate broccoli. Okay maybe “hate” is so strong a word, so I’ll say “dislike” is more appropriate. Even if considered a super vegetable, it’s one of the last veggies I’ll eat alone and if I have other options, I’ll skip it altogether. 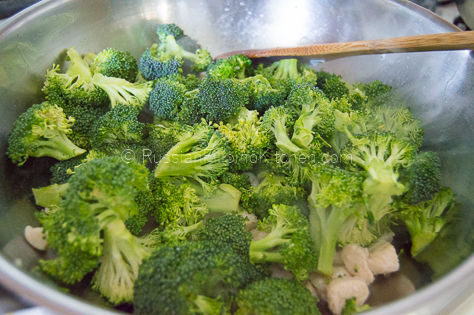 I don’t like the sulfuric smell when broccolis are cooking, and eating raw broccoli is like a capital punishment to me. Ok, ok…I’m exaggerating on the last part but yeah, that pretty much sums up why I’m not such a big fan. But wait… As much as I avoid raw broccoli in a salad, I’m okay with eating it when combined with other ingredients, provided that the dish tastes good. 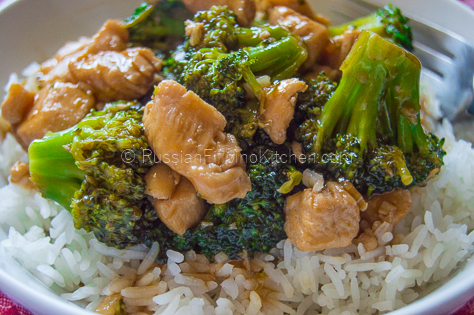 There are only a couple of broccoli dishes that I love. The sautéed broccoli with Italian sausage recipe that I posted a while back is one of my favorites. 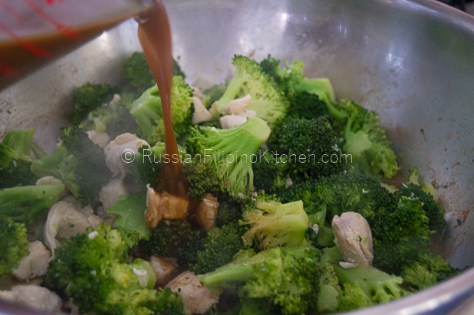 There’s also a yummy Filipino vegetable dish called “chop suey” that has broccoli among the ingredients. 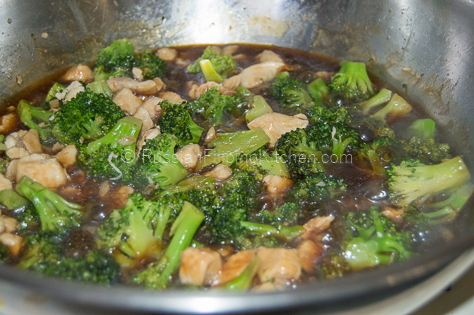 Few other favorites include beef broccoli which was a regular in my list every time we order Chinese takeout, my husband’s Russian-style eggplant appetizer with sauce that has finely chopped vegetables in it (broccoli’s one of them), and this super easy chicken teriyaki with broccoli recipe that I am going to share with you. Making this dish sounds difficult for some especially hearing the word “teriyaki”, which simply is a Japanese -style marinade of soy sauce, sake, ginger, sugar, and other flavorings. 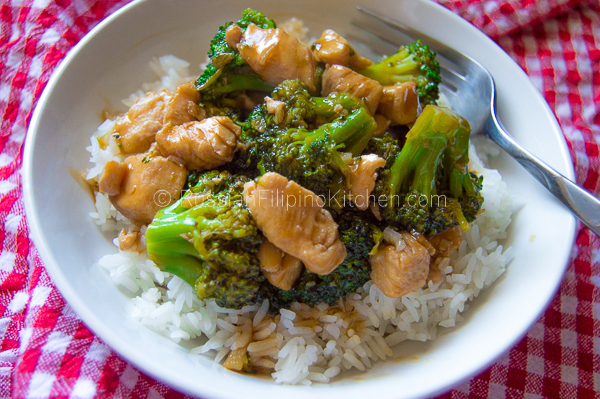 My version of chicken teriyaki broccoli is actually very quick, easy, and taste really good with boiled white jasmine rice. Check the recipe out, try it, and enjoy a wholesome and delicious home-cooked meal for yourself and loved ones. 1. 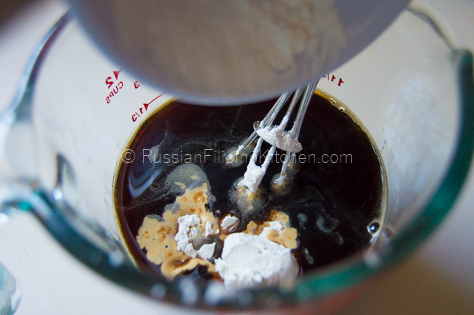 In a mixing bowl or container, whisk together all ingredients for sauce (check above list) until well-combined. Set aside. 2. Peel the garlic and mince. Set aside. 3. 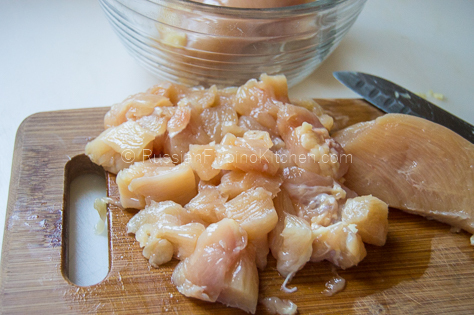 Cut up chicken breast into ½ to ¾ inch cubes (I prefer smaller chunks of meat for easy biting. 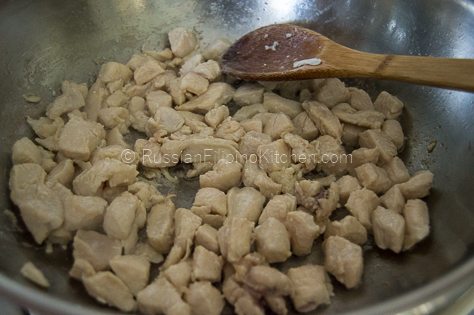 However if you want bigger chunks, cut up the meat into 1 inch cubes and adjust cooking time accordingly). 4. Heat a large wok or skillet over high heat. Add the oil and sauté chicken meat for 3 minutes till it’s no longer pink. 5. Throw in minced garlic and sauté for a minute till fragrant. 6. 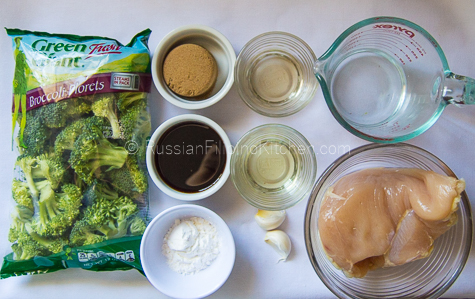 Add the broccoli florets and 1/4 cup of water. Mix quickly. 7. Cover skillet and cook for 3 minutes. 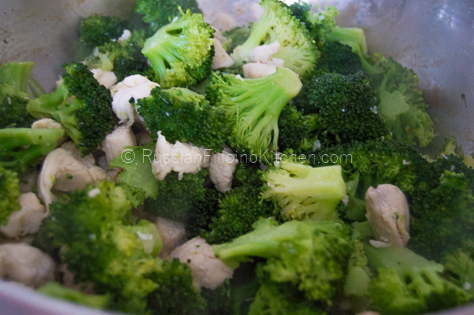 The broccoli should be halfway cooked like shown in the photo below. 8. Pour in the teriyaki sauce. 9. Lower heat to medium high and let it simmer for 2 minutes until the sauce has thickened and reduced. 10. 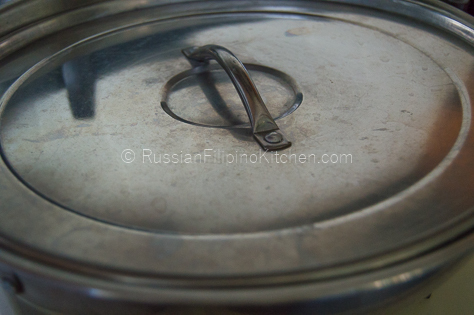 Remove from heat and serve hot with rice or pasta. 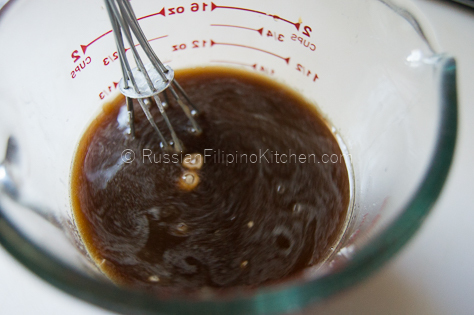 In a mixing bowl or container, whisk together all ingredients for sauce (check above list) until well-combined. Set aside. Peel the garlic and mince. Set aside. 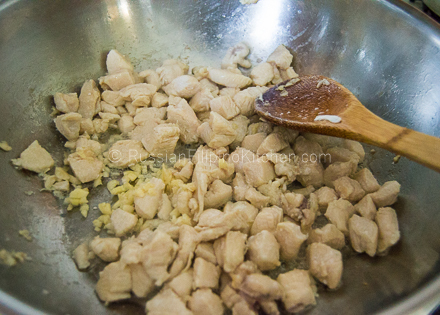 Cut up chicken breast into ½ to ¾ inch cubes (I prefer smaller chunks of meat for easy biting. 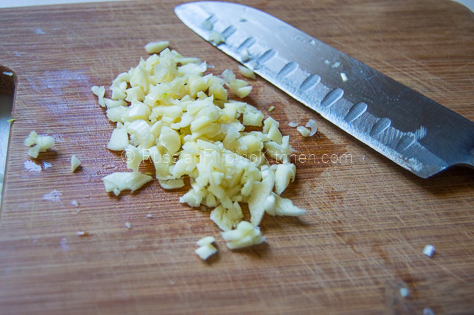 However if you want bigger chunks, cut up the meat into 1 inch cubes and adjust cooking time accordingly). Heat a large wok or skillet over high heat. Add the oil and sauté chicken meat for 3 minutes till it’s no longer pink. Throw in minced garlic and sauté for a minute till fragrant. 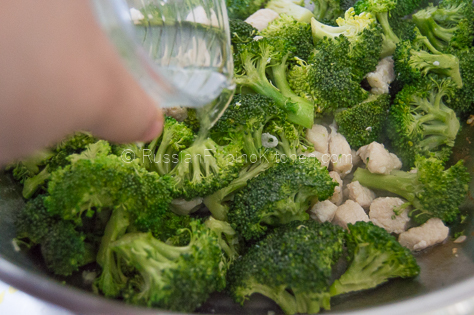 Add the broccoli florets and ½ cup of water. Mix quickly. Cover skillet and cook for 3 minutes. 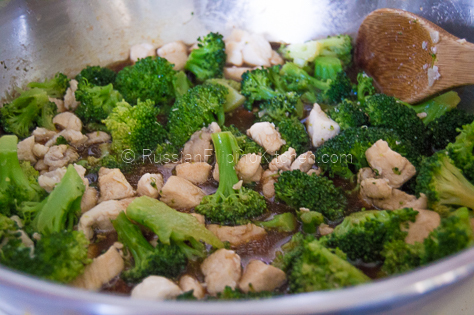 The broccoli should be halfway cooked like shown in the photo below. Pour in the teriyaki sauce. Lower heat to medium and let it simmer for 2 minutes until the sauce thickened and reduced.